The device Meizu Pro 6S has what it takes to use. 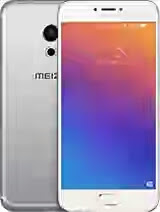 The device meizu pro 6S, according to the leaked specs is said to come with 4GB RAM, Android OS, v6.0 (Marshmallow) Chipset Mediatek MT6796. Also coming with a Non-removable Li-Ion battery. Below are the meizu specs we were able to lay our hands on.